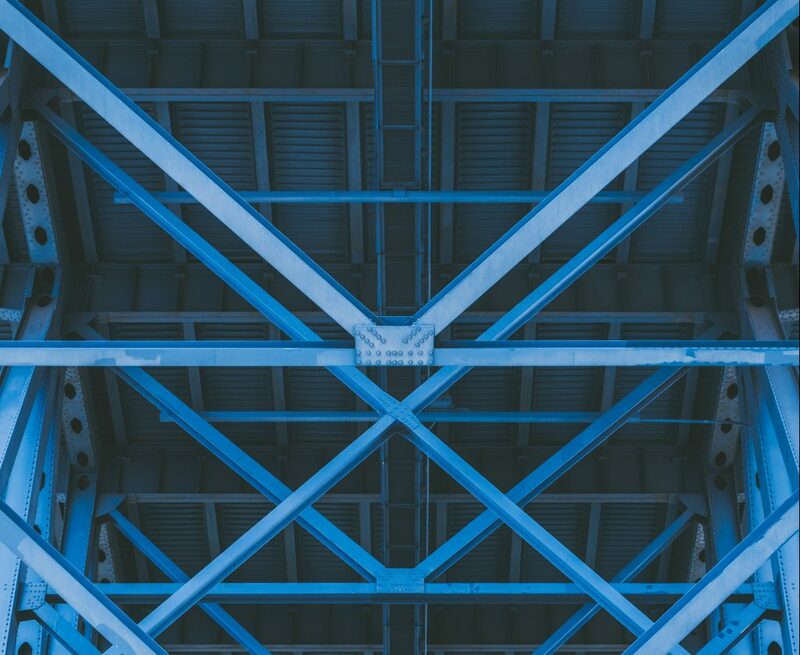 Coupling beams are an important load-bearing element for a structural engineer to improve the structural integrity of a variety of buildings. They are employed in a coupled wall structure to bridge to isolated walls and help them share each other’s loads when they come under stress. What is a Coupling Beam? Coupling beams are beams typically added to a structure to improve its lateral force resistance. They bridge two separate, independent items together (like shear walls) to add stiffness to the overall system. They are usually short and thick, similar to deep beams. In concrete buildings, in particular, they are one of the most critical elements. Coupling beams have two roles in most builds. Firstly, a coupled beam couples a shear wall to increase the moment of resistance. 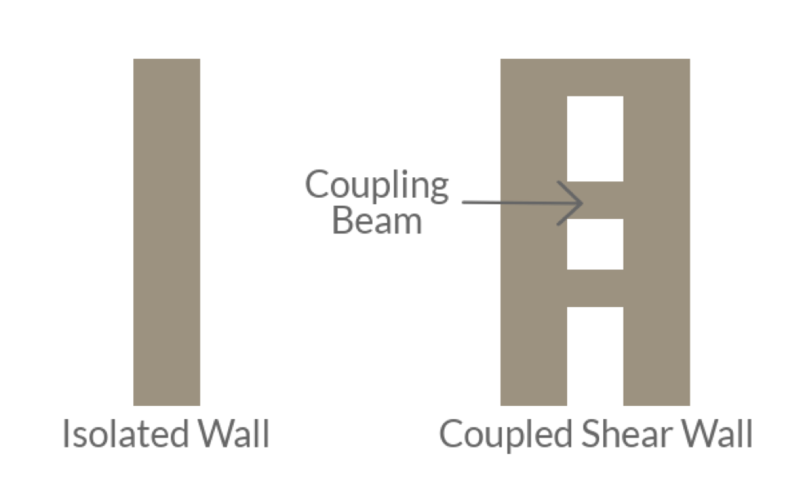 If you have two uncoupled shear walls, the force exerted from the side on one wall would not influence the second wall – they are not connected by beams, after all. 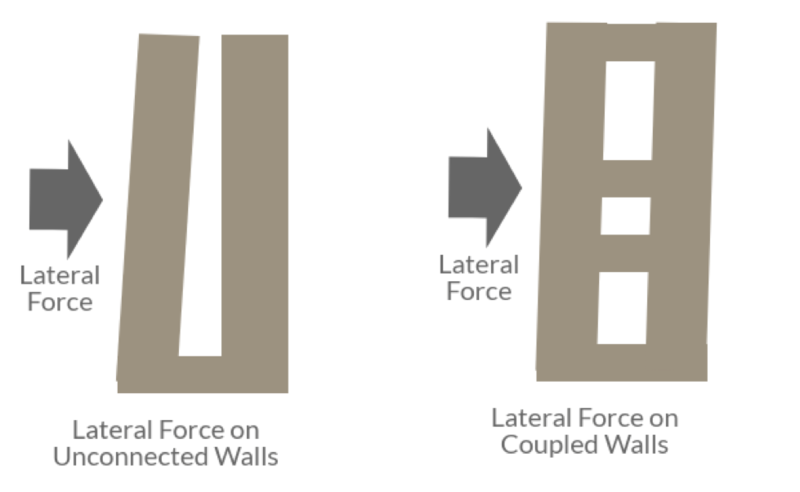 This means that force exerted only will affect one wall, that might cause movement independently of the other one. This significantly risks the structural integrity of the building. By contrast, by coupling the two, you reduce the stress each wall faces and transfer force from one beam to the other. Coupling beams also distribute the lateral force across the length of the second wall, which further spreads the tension along the element and becomes easier to resist. The second role of a coupling beam is to act as a source of energy dissipation during extreme stress. For example, if there is an earthquake, a building has to be able to be resilient against pressure. To be resilient, a structure cannot be too rigid. Otherwise, if there were an earthquake (for example), that building would break at the wall pier and collapse. By contrast, a slight amount of flexibility under extraordinary pressure means that an edifice is much more able to maintain essential structural integrity under pressure. A coupling beam then both strengthens the design of a building as a whole and is designed to yield first to preserve more vital parts of a building if it experiences extreme stress. By accommodating a building’s motion in beam design, structural engineers make more stable and safe edifices. There are three main kinds of coupling beams structural engineers use. Read on for information on each in turn. A conventionally reinforced coupling beam is one made from concrete that has been reinforced with horizontal reinforced bars (rebars) and closely-spaced stirrups. They are relatively simple to construct and implement, and as such are very common in beam design. In low-risk areas where a coupling beam is needed for a building, a conventional reinforced coupling beam is most likely. The weakness of a conventional reinforced coupling beam comes from the fact that conventional coupling beams are not efficient at preserving energy dissipation capacity under stress. A conventional beam is also typically longer than other kinds of coupling beams, which means it is more susceptible to ductile failure. The other most common kind of coupling beam is a diagonally reinforced coupling beam. First proposed in the 1960s, this kind of coupling beam is recognised by many as being incredibly useful for providing high ductile performance with excellent energy dissipation capacity, above and beyond that, it can be provided by conventional beam design. Diagonally reinforced coupling beams are more susceptible to brittle failure rather than ductile failure. Brittle failure is a much more sudden failure where the element cracks suddenly under stress, where the element did not show signs of ductility or stress beforehand. Steel coupling beams are commonly used to avoid the construction difficulties in diagonally-reinforced coupling beams while maintaining as much of their strengths as possible. Structural steel members might also be encased in varying levels of concrete, creating composite coupling beams. Steel coupling beams provide excellent ductility and energy dissipation and are an alternative to reinforced concrete beam design. In some cases, financial or height restrictions do not permit the use of concrete beams. By contrast, steel beam design is still possible and much more effective than concrete. 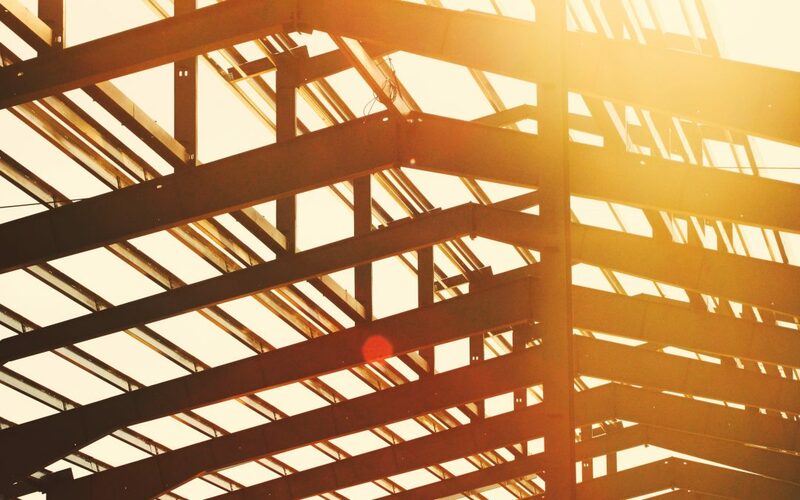 Steel coupling beams have a few drawbacks, the main practical one being that many contractors are unfamiliar with their construction procedure, which can delay a construction schedule. For example, most steel coupling beams need wide flanges to maintain their position, which tends to interfere with other vertical and confinement reinforcements in coupled sheer wall piers. One variant to be aware of is the embedded steel plate composite coupling beam. These use headed studs welded to vertical faces of steel plate in a more typical steel composite coupling beam. The headed studs provide anchorage to the shear walls and transfer forces between the concrete and steel plate. 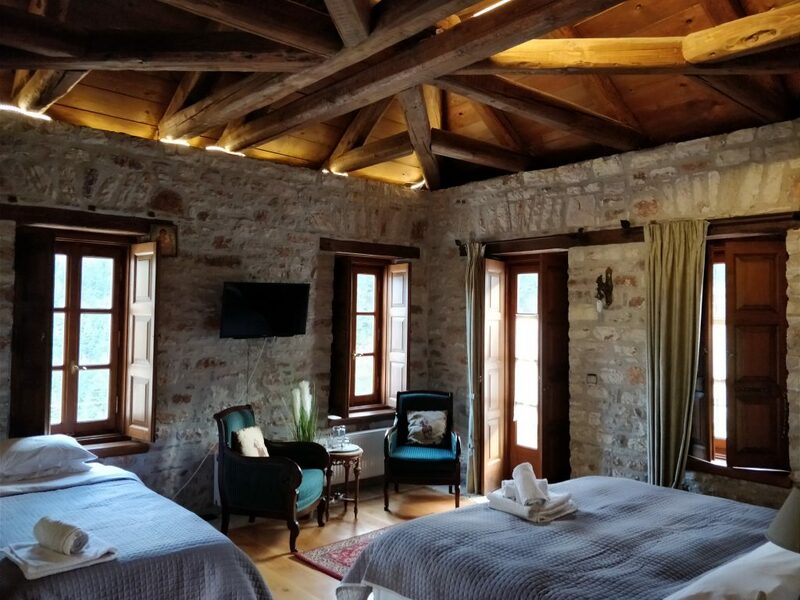 Proper design and understanding of the needs of the building is necessary for all three kinds of beams, but for this particular design of beam, structural engineering expertise is especially required. Each of the three kinds of coupling beams noted all have their benefits and limitations. While conventional reinforced concrete is the most common kind of coupling beam, because it is the most feasible and economical when beam shear stress is low, other types of coupling beams are important for different designs. We at Martin Perry Associates have worked on a large number of projects requiring knowledge of beam design. If you need our expertise on a project, get in touch, and we will be happy to provide you with assistance.